I don’t reread any of my blogs. Despite my Nostradamical takes on Detroit real estate and DJT, I’d probably end up deleting everything else. Whatever. 90% of the time I just want to anonymously do my thing and 10% I feel like oversharing. I guess if you want to enjoy the long reach of social media, you have to put yourself out there. This blog has definitely opened quite a few doors and I’d like to keep that going. If your interest is not real estate, I hope I can hang around on your curiosity/entertainment blogroll. In 2012, I took on a very large delinquent note project which was a disaster. There are a lot of reasons why it didn’t work out. Bad luck, bad partner choices, bad execution. Investors were paid off in full plus interest, but I took a financial bath. Equally annoying, I wasted four years of a huge Detroit real-estate bull run. I could have picked pretty much any real-estate vehicle under the sun and crushed it. Somehow I missed the dartboard. Bricked the breakaway dunk. It was my first big setback on a professional level, and those four years were not much fun. On the homestretch of untangling from that note mess, I started a side project with my new neighbor and his brother (Tony and Chris). We started company with one asset, on a bit of a lark, and now it’s now a solid full-time endeavor. I think we have a chance to build it into something long-lasting. Our end-goal is to build a company that has the ability to be a long-term player in the Metro Detroit real estate game. Find enough deals. If you know of someone that has a unique selling situation, we would love to help solve their problem. We will always be straightforward in assessing what their house is worth, what it would be worth it were completely rehabbed, how much it would cost to rehab, and what we can offer. If we buy their house that’s great. If not, we’d be happy to point them in a direction that helps fulfill their goals. Also, we will pay a bird-dogging fee if we end up buying or selling your contact’s house. Raise more money. If you are interested in following along and/or hearing the details of potential involvement feel free to email me at JustinSadauskas@gmail.com. If you just want to connect or talk real estate, that is great too. Manage the rehab madness. I thank my partners for handling 99% of the actual meat and potatoes of the rehabs. It’s a huge logistical undertaking, and they are very good at it. We have recently added one full-time employee and two part-time employees so we can take our process’ to the next level. A cooperative market. This is out of our hands, but I’m hopeful that we have a year or two in us before the interest rates increase or a unforeseen catalyst changes things dramatically. Also, we began dabbling in new construction. Currently we have plans to build on six lots. At least four of the basements should be dug by winter, and we should be finished in time to sell by spring. It’s pretty exciting. I think taking some new ventures on is always worth the gamble as it may end up being a new opportunity and the more malleable you are as an investment company the longer you can stick around. I count these in the goal of 80 homes. Lastly, I am trying to put together a direct-mail marketing campaign. It’s been a loooong time coming. Honestly, I just can’t get out of the analysis-paralysis portion of it. I have a bad case of phone phobia. I love talking to people in person, but I just get anxiety of the phone. Have to overcome that! I’m hoping to have my first mailers out before Christmas. We have two or three houses hitting the market next week; I plan to post some links. Looking forward to a big 2018. New Investment, Updates and Chicago. It’s been quite a summer. The market in Metro Detroit has been STRONG. Prices in some areas are 3-4 times their 2011 prices. Because of this, we have shifted some of our focus to traditional flips. My partners are logistical wizards and rehabs are running very smoothly. Big shout out to them. One thing, I learned from my time at poker is that opportunities can change quickly. Everything changes. Economic profits become normal profits. Bad markets become good markets and vice-versa. Not exactly earth-shattering, but it’s easy to stay narrow-minded when you have a model that is working. I’ve been trying to learn as much as I can about many different real estate related avenues in preparation for the inevitable shifts. I love investment real estate and I realize that I want to be involved in this for a long time, so I can’t just stay pigeon-holed with ideas that are currently working. The first new direction we are headed towards are multi-family rentals. I have been looking diligently all summer. We finally found something that is a great deal near where I live. We have placed an offer and if it gets accepted, we will be looking to raise $200k-$250 in financing. The plan is to extensively rehab the building. Increase rents. Then either refinance and hold it, or sell it to an investor. The multi-family market is smoking hot nationwide with people looking to park money. As always, our company will still retain a 1-1 equity to investment ratio. If you are interested in investing the annualized return will be 10% for a period of 1 year. Please email me at JustinSadauskas@gmail.com to discuss all the details! Also, if you are looking for a multi-families in A/B class areas – hit me up as well, we will have a great asset in about 3 months ;). Lastly, we had our first offer accepted in Chicago. We are only in the infancy of the Chicago Project but it’s very clear we can great deals there. If you are interested in Chicago as many of you have said you are – please email me. Most of the deals in the beginning will be wholesaled to experienced investors. In the future, we will consider partnerships but as for now the plan is for us to find the deals for experienced investors. Thanks for reading. 8654 Ford St, Warren, Mi 48089. 2 bedroom, 1 bath, rented $825/mo. 3 bedroom, 1 bath. Rented – $850/mo. If you are interested in purchasing these assets, feel free to contact me. We work with a excellent management company that handles all the B.S. so that the investor can just collect checks. All the assets have full picture files and everything you would need to make an informed decision. Investment – One aspect we didn’t expect is that we would find more deals than we could buy, but we are there. Instead of turning down deals or wholesaling them to other investors, we would like to keep buying. We are offering a 12% per annum return for investments of $10,000 or more. We are looking to raise $100,000 on a first come first serve basis. The term is flexible, we have started most people out for either 6 months or 1 year. The investment would be a business loan and secured by the assets in the company and a promissory note with me personally. We currently have two times more equity in the company than we are looking to borrow, which speaks to the security of the investment. Email me at JustinSadauskas@gmail.com with all interest and questions. Posted a little routine on facebook, it was well received, so I’ll try it here. Burrito. Make em put on the peppers. Fierce eye contact to establish ingredient skimping will be not be tolerated. When the server is sufficiently intimidated, you hit them with “double meat.” The key here is that you don’t jump the gun. Let them pile-high then “Double it.” They will be forced to match the meat tower. Two salsas minimum. Guacamole optional. By this point a veteran salsarista will know that you know – that guacamole is extra. However, a rookie might try a quick little gambit – “Guac is extra!” You have to see it before it happens. “Double Guac!” <double finger pistol> big smile – game over. You’re walking out of there with a budget buster and they can’t stop you. The dent will probably will show up on their quarterly earnings. There gonna have meetings to try to stop guys like you. 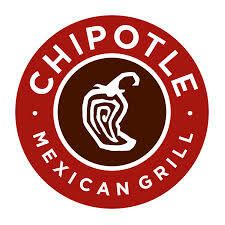 If they can wrap the burrito without tearing it, you’ve made a mistake somewhere – take a mental note. Always to-go. Take that hog back to a no-judgement zone. Nobody wants to see you eat that in public. A final tip for the man that rides that fine line between winning with class and taunting: by the time you’ve hit them with all your best moves the crowd will be in your pocket. Call loudly for a wheelbarrow. Tell them to double bag it. Pretend it’s too heavy to carry. Take a victory lap to the tobascos while singing “Gold Bless America.” All gold. Use em all. Never leave a laugh on the table. This is our rental property – 9075 Brace, Detroit. 1500 sq ft, 5 beds, 2 baths. Solid street in Detroit (streets are important and often vary quite a bit). Rented on a 2 year lease for 800/mo. The asset is on the West Side, which is the “hot” side of Detroit – with easy access to the expressways, casinos, stadiums, bars etc and that drives demand. There is just a lot more happening on the west side. This has a 15.2% ROI. And also, the renters are on a two year lease and will probably never leave. They love the house. They cried when they signed their lease. Very sweet, hard-working people. Fair market for rent is probably 900/mo. We liked the renters in the property so we didn’t want to push the price. We think the $ 49,000 asking price is fair and on top of that, we will guarantee rent for 12 months. Meaning that we will take 12 months rent and put in an escrow account and after 12 months if your renter misses a payment, it comes straight out of the escrow. Or better yet, we pay you the entire escrow up front and then collect the rent on our own for one year. It’s a testament to the belief we have in our tenants that we rigorously screen. If an investor from this blog buys this asset, he will have the option to put a management team to manage the asset. We have three highly qualified teams to choose from or he can manage it on his own. Lastly here are two other houses in the same subdivision that sold as investment assets for much more and are not nearly as desirable. We will be offering it to the market at some point, but I’ve had good success and interest with blog readers in the past. So, if you are interested in this asset, or just want to learn more, feel free to hit me up with some questions. If you buy an asset from the blog, I will be able to guide you and give you tips should you ever run into a new situation. I’ve wanted to write this blog for a long time, but didn’t quite know how to go about it. I think one reason people enjoy reading my blog is because I’m more open than most about my ventures. Unfortunately, going forward that is going to change. Our company entered into litigation with two companies in separate lawsuits where settlements were reached. Agreements were signed not to disclose any details, nor to disparage or disrupt future business of the defending parties in any manner. It would be impossible to illuminate the ups and down of business over the last year without really getting into those details, so for the most part I’ll be forced to write in vagaries and broad strokes. As you might imagine, lawsuits are stressful and far from ideal. 2014 has been a rough year, the high stress has really taken a toll on me. We are about a year from wrapping up the third and final asset pool and I’m just trying to stay focused and work as hard as I can until everything finished for our investors. Thankfully, things are a little less stressful, now that the major litigation is settled. People have asked me, what my plans after the third pool wraps up, and the answer is I really don’t know. A lot will be determined on how the next year plays out, but I’m sure it will be some combination of poker and real estate. I might stay in the NPN business, but it would be on a smaller scale. I haven’t been actively looking to acquire assets, but my understanding is that most pools are going to hedge funds in the 50M+ range. I do think there is a lot of value in the secondary markets, and I really think we are very good at extracting value out of notes. We will see how things play out. Maybe I’ll give ice-cream truck driving another run – like Ali, coming out of retirement. I am currently in the process of selling all my rentals. 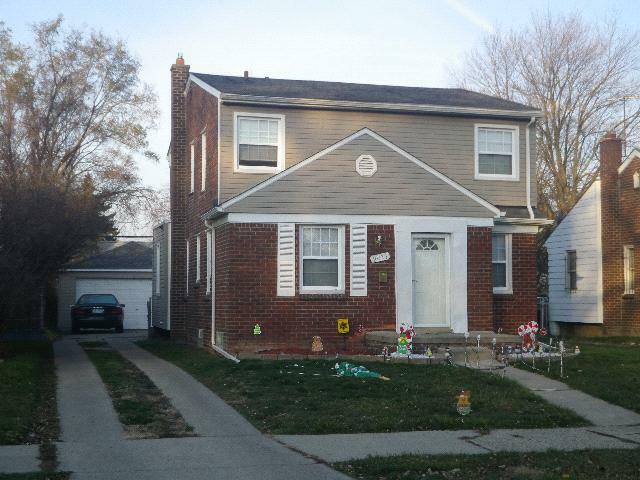 29810 Greater Mack, St. Clair Shores – bought for 62,000, sold for 95,000. 22624 Mylls, St. Clair Shores – bought for 63,000, pending for 95,000. 23430 Allor, St. Clair Shores – bought for 30,000, 10,000 repairs, pending for 65,000. 23103 Avon, St Clair Shores – bought for 50,000, listed for 94,500 – no takers yet. Overall, buying and renting houses was a great experience and something that I will surely do again. The only suggestion I have is that renting property is not a “passive” investment. If you want a passive investment, buy performing notes with good equity built in – they yield good return and are actually passive. I have sold a few performing notes through my blog and at some point, I may sell a few more. However, if you are down with a little extra effort, I’d highly recommend buying rentals. Look for more blogs in the near future and thanks for reading as always. It was surprising that not even one person showed any interest in the performing note I offered a few blogs ago. It was such a good deal! I really considered buying the note myself (through my SEP-IRA), but after some research I found that you have to conduct all the SEP-IRA transactions completely at arms-length. While, I’m not 100% certain, I think my affiliation in both companies would make it unlawful. That said, you guys should think about using your retirement funds to get into a high-interest, well collateralized performing note is a really good idea. All of our current notes have been sold, but our company will have other deals like in the future, so I want you guys to start thinking about those type of investments. I’m sure I will offer up some more. (The first step in doing creative IRA stuff is to get a self-directed custodian). As far as our packages are going, the original 27 house list is getting close to wrapping up. We expect to end up right around a 75% return. We had hoped to clear 100%, but we made a few mistakes and overall could have been more efficient than we were. Our biggest mistake by far was trusting the homeowner’s too much. So often, they would seem on board with our plans to help them out. Then, they would just straight flake out. I guess that seems obvious that you shouldn’t trust dead-beats, but some people are just so damn believable. Lesson learned. I think if we went back in time, with our current knowledge, we’d clear a 100% return, no problem. The 55 house list is still going strong. It is however, taking longer than we had hoped. We had a miscommunication with our foreclosure attorney that costed us some time – again I chalk it up to growing pains of a new company. If you are an investor, you will probably get 3-4 more quarters of interest, and with a big chunk of your investor capital coming in 2-3 quarters. After March 31st, tax season, there is really no reason to hold any money in our account, so it will all be getting distributed back to investors. The third project has been quite a roller coaster thus far. We got an amazing deal buying it as I mentioned before. The problem was that in return for getting the package for pennies on the dollar, we had to take on some title issues. Well, they ended up being worse than anticipated. That wouldn’t have been particularly problematic, if the seller wasn’t a total putz and acted even close the the way he was contractually obligated. Because of his ineptitude, we’ve incurred much expense and wasted time. He sends us replacement files, so we spend a week doing due diligence, and then he says he find the files. Stuff like that has made this process unbelievably frustrating. We are asking for a large settlement and/or will take him to court for the damages he’s caused. Anyway, we do have clear assets now, and while we’ve decided that while we are still open to selling them if the price is right, we are going to work them through. That’s pretty what our company does bets. These assets are strong and have a BPO of easily over 1.5-2x the original investment (even thought it’s only 60% of the files!). Anyway, with all the files, our team and I are going to be working like a crazy over the next year. I’m in my element when I’m singularly focused, so although it’s just a ton of work, I’m feeling really good about it. I justed finished a spreadsheet of some of the files we are working. I’ve done a BPO analysis and a lot of preliminary work needed to start a project like this. If you are serious about the note game, I’d be more than happy to share it via email. Just hit me up.